Friday February 16th at 11am. Beltie Books. 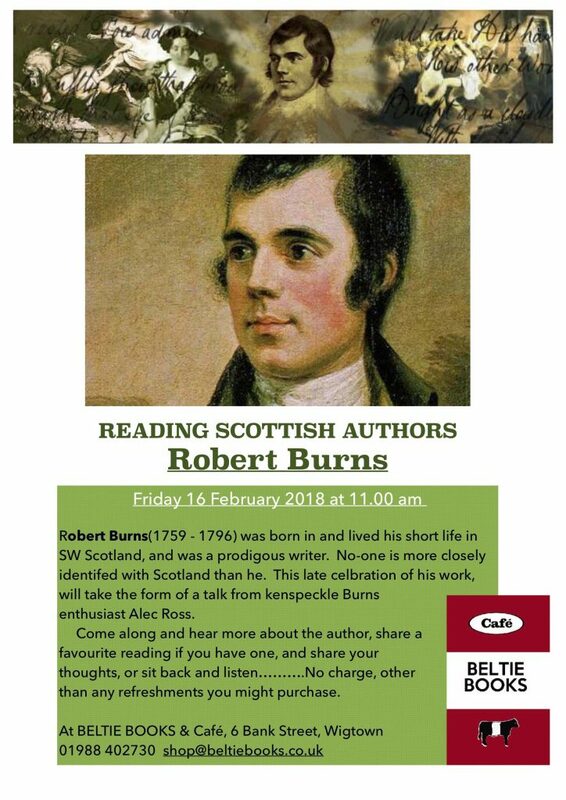 A celebration of Robert Burns works in a talk from Burns enthusiast Alec Ross.Come along and hear more about the author, share a favourite reading if you have one or sit back and listen.